If you liked Teresa's unique treatments of other well-known Christmas carols like "O Come, O Come, Emmanuel" or "Jolly Old Canon In D," you owe it to yourself to check this one out, too. Based on one of the most popular and familiar carols of all time, "Of Orient Are" is a bit different – not your grandma's "We Three Kings"! Fun to learn and fun to perform, it should keep your singers on their toes. 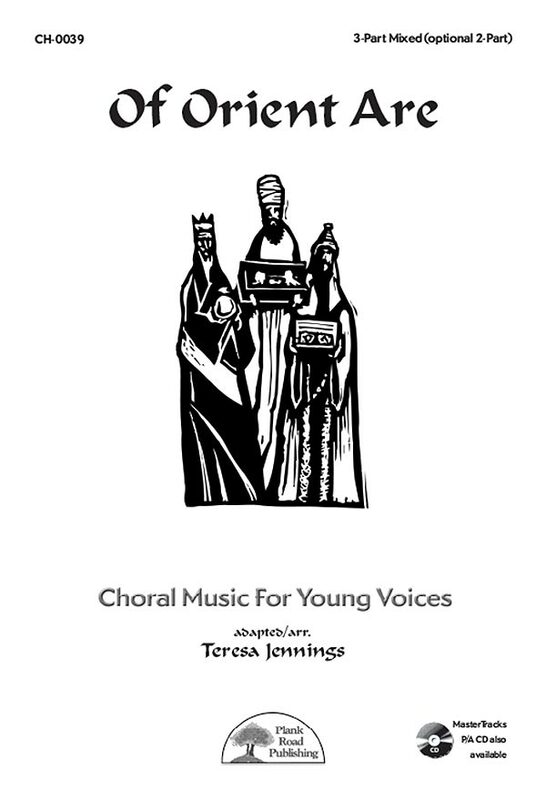 Though the arrangement is written with 3-part mixed voicing, allowing older, changing, and changed voices to shine, it could also be used as a 2-part piece – still challenging and exciting, but quite usable with smaller or more limited choirs.